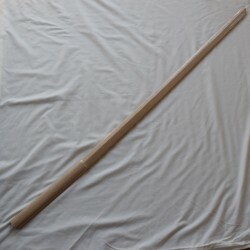 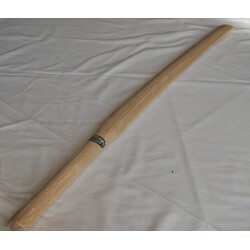 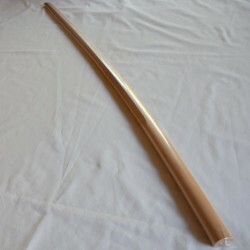 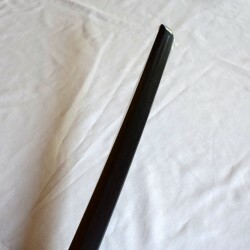 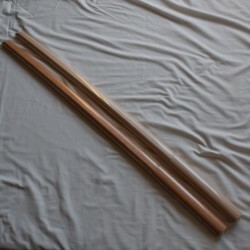 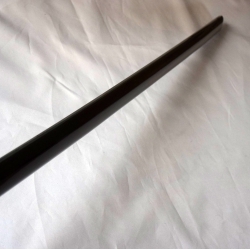 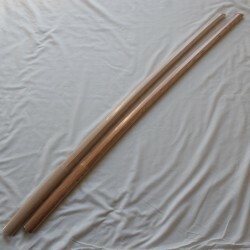 It is lighter than a standard bokken. 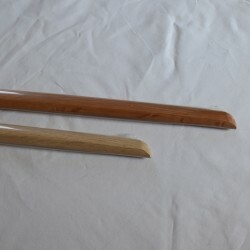 It has a straight blade and a flat kissaki (the point of blade). 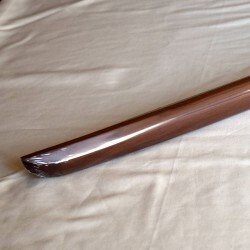 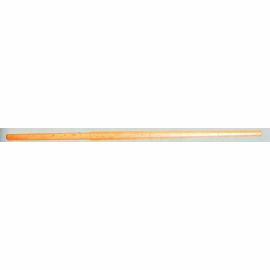 Yagyu Shinkage Ryu wooden katana has a straight shaped blade, it is relatively light. 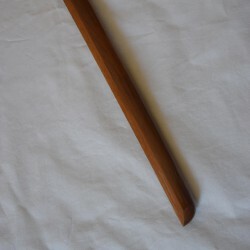 With such a straight blade, you can control the distance (Maai) with your partner with ease. 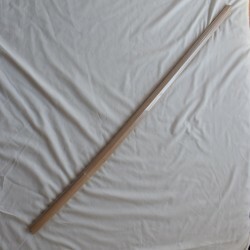 The flat kissaki gives you security during your training. 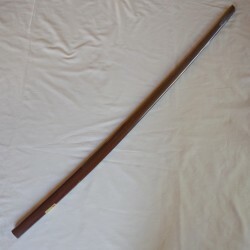 The Yagyu school's philosophy is to win not by physical force hurting someone but by the energy (ki) without fighting ; that is why the kissaki is flat. 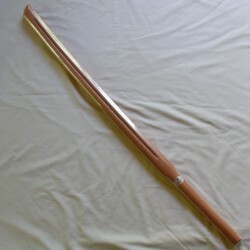 This is not a simply physical training but mental training. 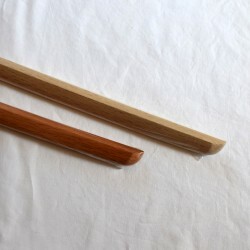 Its material is made from a Japanese 70 years old oak tree in the southern part of Japan and manufactured by a craft company which has the National Qualification of traditional Crafts in Miyakonojo (Kyushu in Japan). 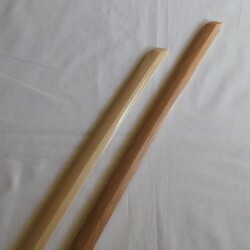 -The point of sword (Kissaki) is flat, not pointed. 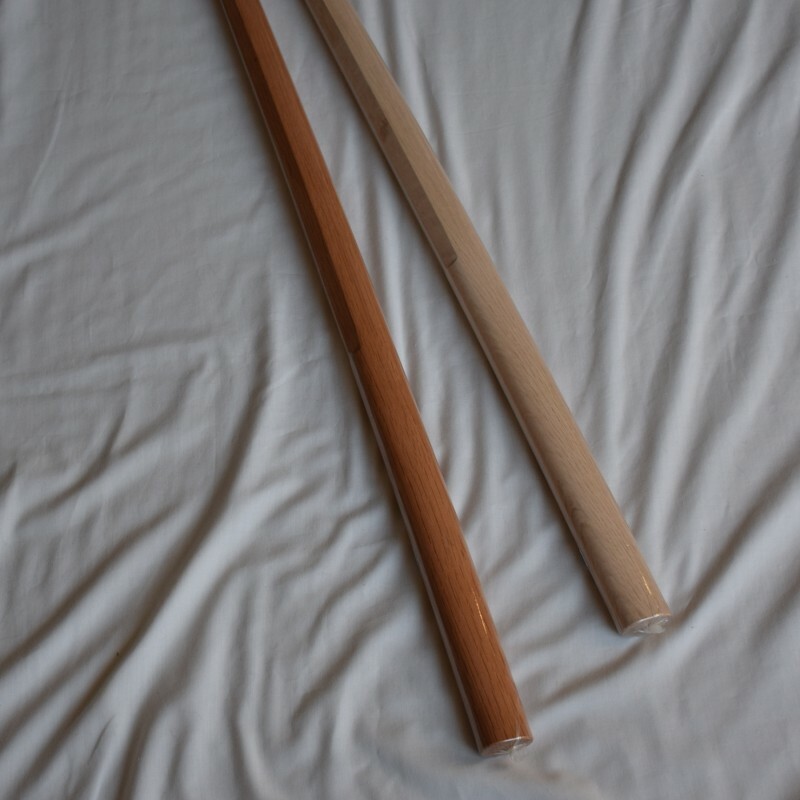 -The blade (ha, hasuji) is straight bokken. 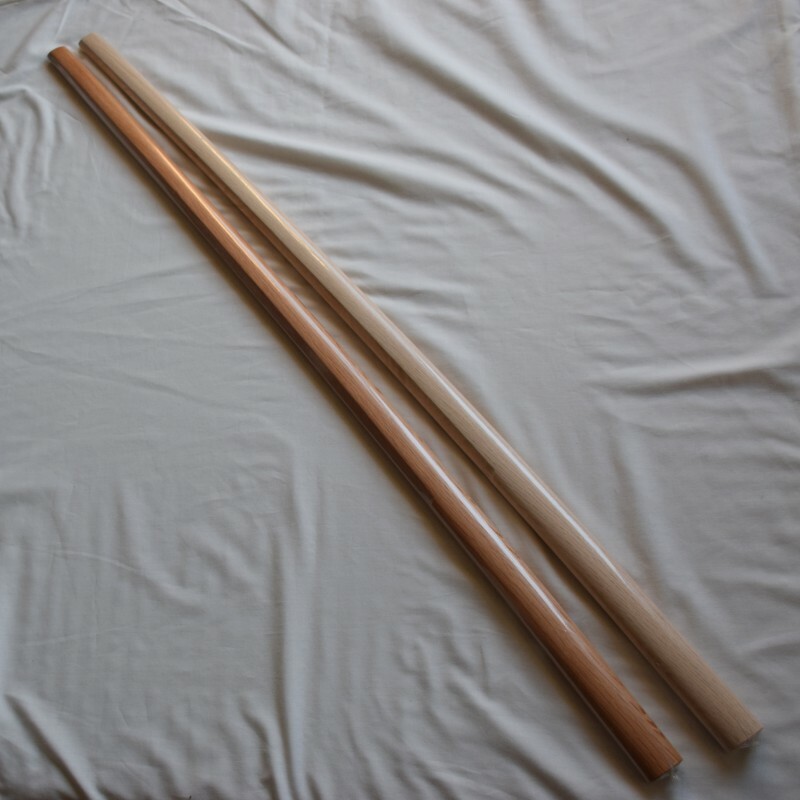 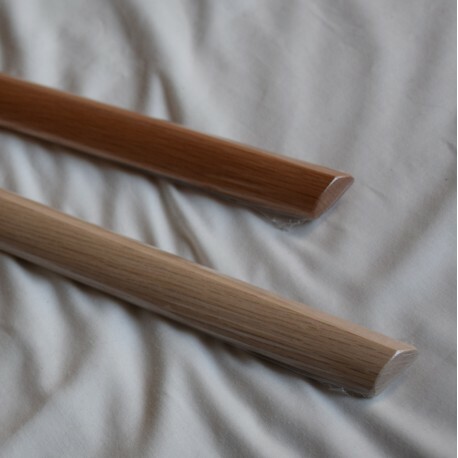 Oak is solid, robust, very resistant to shock, therefore it is suitable for practicing kata of kendo, Iaido, Aikido, and of course for practicing Kobudo, too. 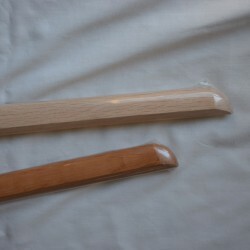 White oak is a little bit heavier (30 - 40g) than red oak. 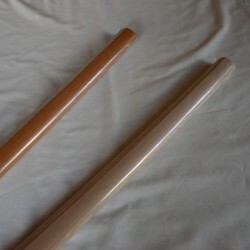 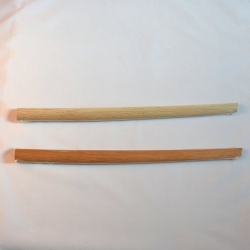 In addition, the hardness is different: white oak is more solid than red one. 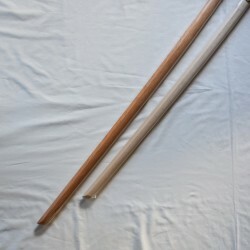 So if you practice kata with heavy contact, it is better to use white one. 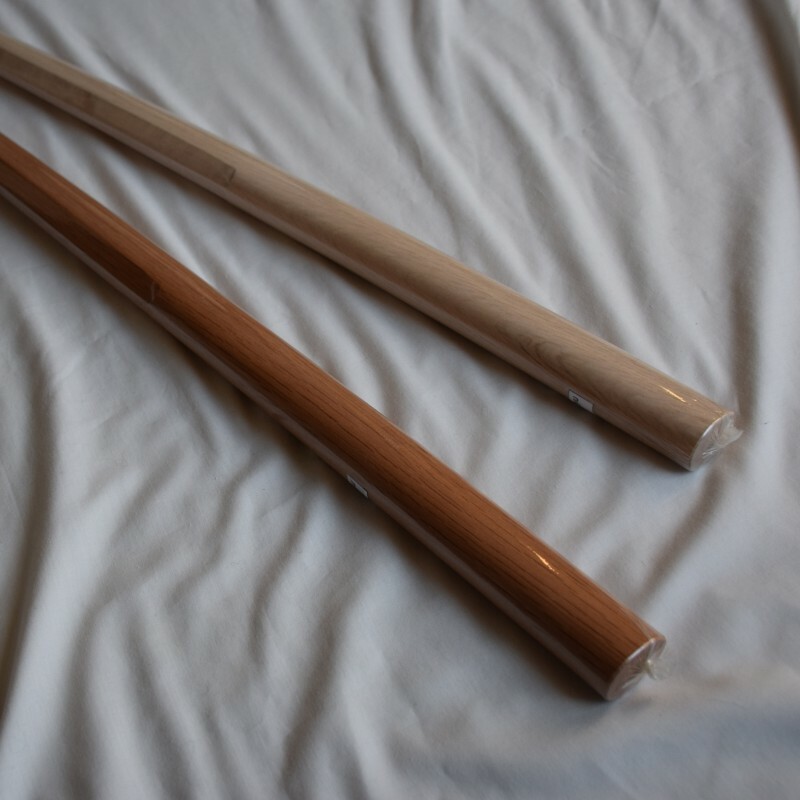 These bokken are made from Japanese oak in Kyushu (the southern part of Japan ) by NIIDOME Bokuto Craft Company at Miyakonojo in Kyushu which is a rich repository of a wide variety of trees, especially oaks. 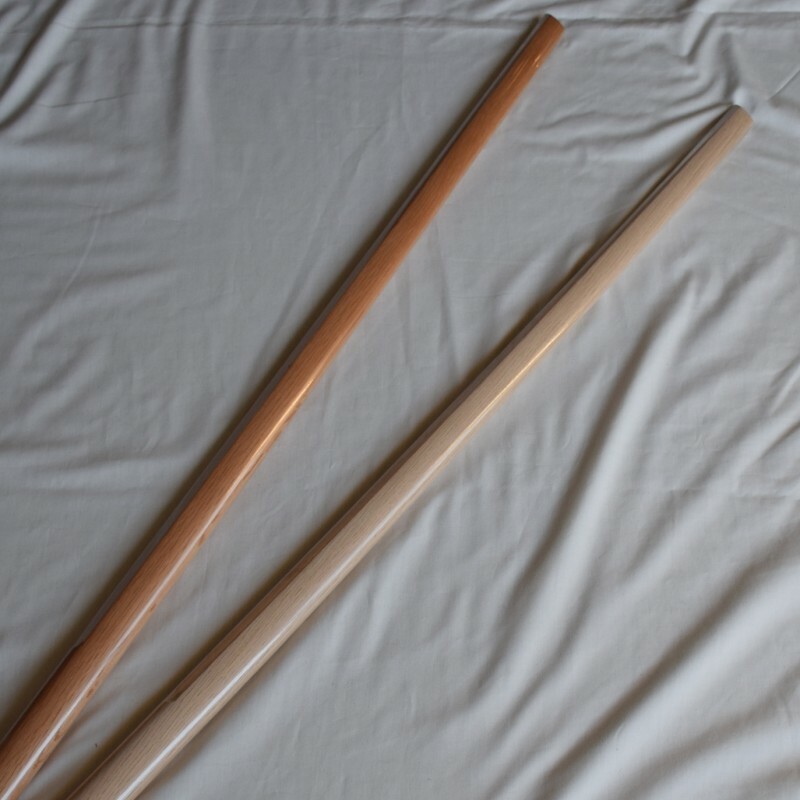 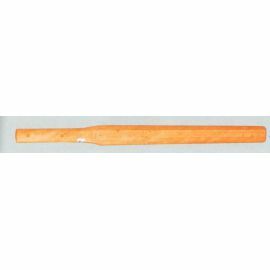 This company keeps the traditional way of manufacturing, such as drying the wood naturally in order not to destroy the fibers of oak; therefore our bokken are solid and robust and can be used for a long time. 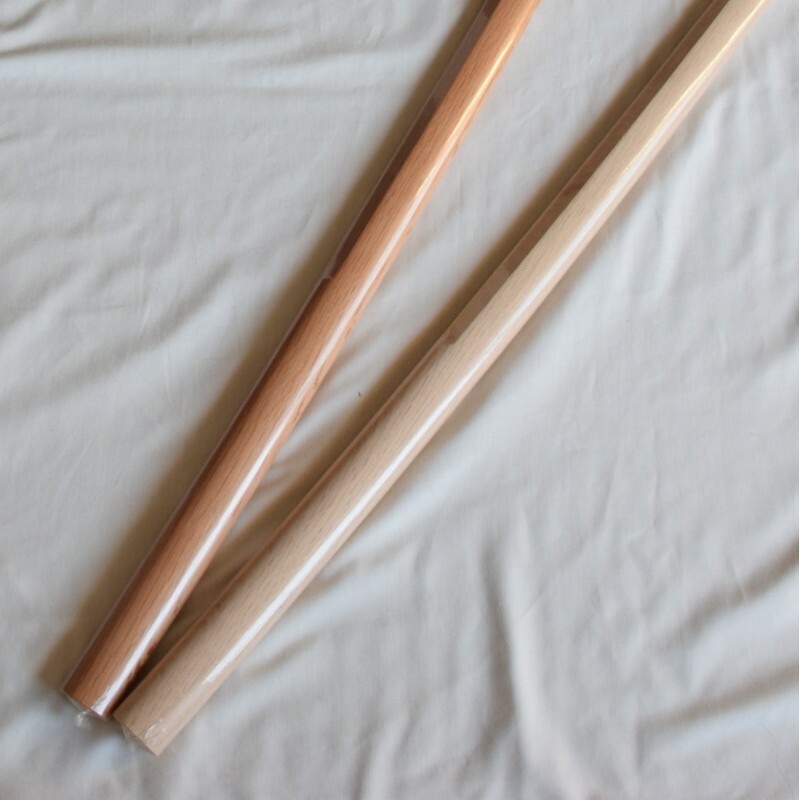 NIIDOME Company uses the materials which come from a 70 years old tree. 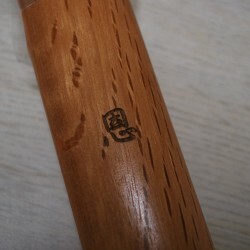 If it is a young tree, it does not have the same quality and hardness as one of 70 years old.